One of Apple's key manufacturers, Wistron Corp, has begun manufacturing iPhone 7 locally in India, Apple has confirmed. The handset is being manufactured out of its facility at Narasapura in Kolar district, on the outskirts of Bengaluru. 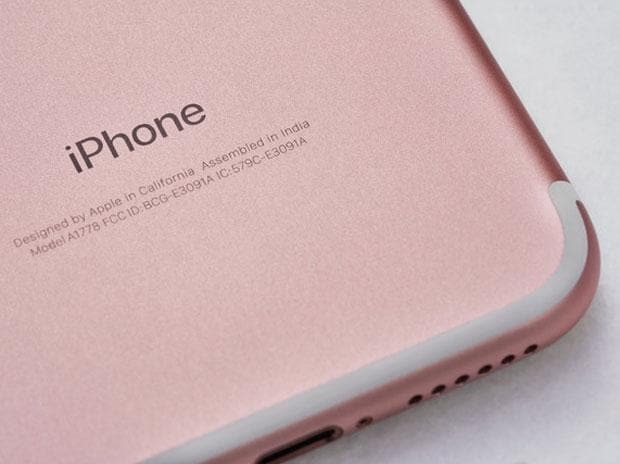 Earlier only iPhone 6s and SE models were manufactured out of the unit. "We are proud to be producing iPhone 7 in Bengaluru for our local customers furthering our long-term commitment in India,” an Apple India spokesperson said in an emailed statement. That it would produce higher-end devices was anticipated when Wistron announced plans to open the Narasapura facility, its second in India after Peenya, in June 2018. The Taiwanese contract manufacturer, which also manufacturers for Xiaomi and Nokia, has taken up a 43-acre land parcel and plans to invest Rs3,000 crore in the unit in a phased manner. It was earlier touted that Apple may also produce iPhone 8 and higher models locally, but that has not been confirmed so far. The development comes at a time when Apple’s sales in India have dropped, owing to higher prices of newer Apple models and a gush of cheaper and powerful models from Chinese brands. Apple is said to be focusing on its strategy to target high-end users with premium products like iPhone X and newer versions of Mac and iPad. Simultaneously, it is keeping older handsets like 6S alive as an entry device for first-time users. Foxconn Technology Group, Apple’s other big contract manufacturer operating in India, is also scaling up local manufacturing. As per media reports, Foxconn has presented plans to invest up to Rs5,000 crore in its facility in Sriperumbudur, near Chennai and is in talks with the government for concessions.